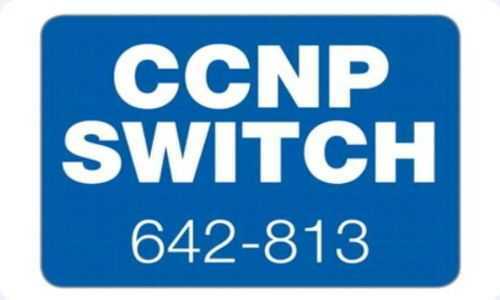 So I took and passed my CCNP Switch Exam on Monday morning. 934 out of 1000. I’ve been meaning to do my CCNP for the past two and a half years, since I passed my CCNA, which doesn’t expire until April 2015, but will be renewed now due to the pass on switch exam. As you may know, the current 642 CCNP series exams will be retired on 29th January, so I chose this as my hard deadline to pass the exam. You can find my revision notes here. So actual taking the exam is the same as the CCNA, a few multiple choice questions, a few drag and drop and some simulations where you have to either troubleshoot or configure things. My Exam simulator crashed, (it uses adobe flash, interesting fact for you), so the exam invigilator logged me onto another pc and I had to start the exam simulation question from scratch, bit of a pain as it was quite a big on, and I was two commands from the end of it. Obviously under the NDA there is very little I can discuss about, however if you read through the exam guidelines, you can pinpoint the hot topics immediately. It was also interesting to see some switch platform based questions, which took me by surprise, I am confident I got the question correct as it was process of elimination really. Finally, read the questions carefully, I misread a multiple answer one, clicked next, soon as I did I realised my mistake. Good Luck to anyone taking the CCNP in the next few weeks/months!! !